Eyelashes And Brows Age Too You Know. Here's what you can do. Eyelashes and eyebrows age too. It can feel like another depressing sign of getting older. Just like our skin and hair, eyelashes and eyebrows get thinner, sparser and more brittle as the years pass by, and the colour fades out of them. Ageing eyebrows will often become patchy in places. As they become lighter in colour, they will start to look even thinner, sometimes almost seeming to disappear into the skin. Like eyebrows, eyelashes can lose their volume, length and thickness over time as well. Later on in life, coarse, wirey eyebrow hairs may start appearing. The ageing process starts to happen in our mid to late 20s (it is said that we lose 1% of collagen per year after the age of 29). When it comes to skin, a lot of women don’t actually notice or begin to worry about this until they’re well into their 30s (and in the case of most men probably much later!!). However, when it comes to ageing lashes and brows many women don’t realise that it is happening at all – or that it has already happened. In turn, nothing is done to combat the situation with the end result that a woman can be unwittingly aged significantly by her eyebrows or eyelashes, even if her skin and hair look in fantastic condition. The good news is that products do exist to help address this problem. Just like our hair and skin, our eyelashes and eyebrows can be hydrated to help them remain thick, nourished and healthy. Various lash and brow conditioners are now available to buy which promise to strengthen, condition and enhance the overall appearance of eyelashes and eyebrows. At nkd waxing, our favourite by far are the RevitaLash and RevitaBrow conditioning products, whose excellent clinical data is backed up by the experience of many of our clients who have purchased these products and have gone on to rave about the results they yield. These formulas work by creating the best possible environment for the hair to grow. Breakage and brittleness is prevented, while flexibility, moisture and shine is improved for healthier, longer and more dramatic-looking lashes and brows. So if you want a bit of help in looking younger, or you know someone else that does, then perhaps it’s time to look a bit further afield than the anti-ageing face cream or hair dye? Next week, we will be sharing our top tips on the treatments and make-up products that help ageing eyebrows appear younger. nkd ( ) exists to empower its clients by making them feel comfortable and confident in their own bodies. 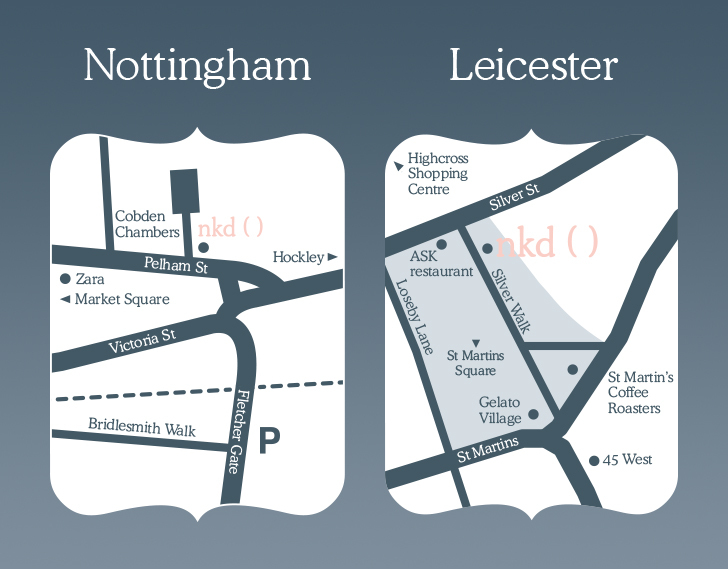 nkd also offers the latest lash and brow treatments from its in-house lash & brow bar with the same level of specialist skill and advice. nkd – giving our clients the confidence that comes from looking and feeling their very best.